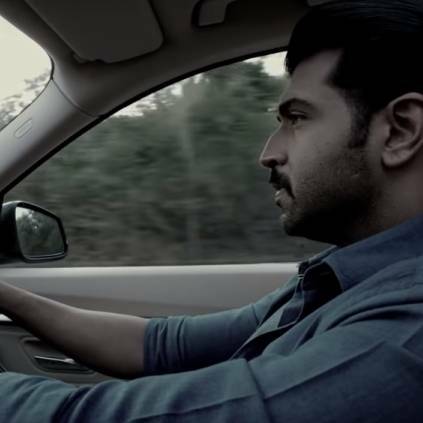 CATCH THIS BREEZY VIDEO SONG FROM ARUN VIJAY STARRER HERE! Arun Vijay recently starred in Thadam which was directed by Magizh Thirumeni and produced by Inder Kumar under Redhan - The Cinema People. The movie was received well by audiences and critics alike. Thadam is an Arun Raj musical that has cinematography by Gopinath while Srikanth.N.B is handling the edits for the film. The songs of the album were well received and now the makers have released a reprise version of one of the songs from the album. The reprise version of the song Vidhi Nadhiyae has been released now as a note of thanks to the cast, crew and audiences who have made this movie a great hit. The reprise version has a breezy tune and is sung by Arun Raj himself. Arun Vijay has completed his shoot for Saaho with Prabhas, Shraddha Kapoor and others. He will then be seen in Agni Siragugal with Vijay Antony and the actor has gotten a new makeover for the film recently. People looking for online information on Arun Raj, Arun Vijay, Magizh Thirumeni, Redhan, Thadam, Vidhi Nadhiye will find this news story useful.